CANCELLED DUE TO WEATHER. If you pre-registered, you should see a refund in the next few days! 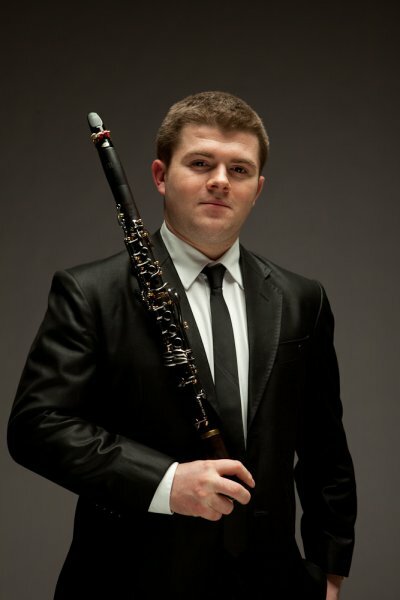 Julian Bliss is one of the world’s finest solo clarinettists excelling as concerto soloist, chamber musician, jazz artist, masterclass leader and tireless musical explorer. He has inspired a generation of young players, as guest lecturer and creator of the Leblanc Bliss range of affordable clarinets, and introduced a large new audience to his instrument. The breadth and depth of Julian’s artistry are reflected in the diversity and distinction of his work. He has appeared with many of the world’s leading orchestras, including the London Philharmonic Orchestra, BBC Symphony Orchestra, City of Birmingham Symphony Orchestra and the Academy of St Martin in the Fields, and performed chamber music with Joshua Bell, Hélène Grimaud, Steven Isserlis, Steven Kovacevich and other great interpreters. Born in St Albans (UK) in 1989, Julian began playing at the age of four. He moved to the United States in 2000 to study at Indiana University and subsequently received lessons from Sabine Meyer in Germany. Julian’s prodigious early career included performances at the prestigious Gstaad, Mecklenburg Vorpommern, Rheingau and Verbier festivals, and critically acclaimed debuts at London’s Wigmore Hall and New York’s Lincoln Center. His first album for EMI Classics’ Debut series was greeted by five-star reviews and public praise following its release in 2003. Released on Signum Classics in September 2014, Julian’s live recording of the Mozart Clarinet Concerto with the Royal Northern Sinfonia was Classic FM disc of the week upon release. The release was accompanied by a performance at Classic FM Live at the Royal Albert Hall, London. Julian stands today among the finest musicians of his generation. He launched the Julian Bliss Septet in 2012 at Wigmore Hall and Ronnie Scott’s Jazz Club in London and fronted their debut disc, Benny Goodman –The King of Swing. This programme has gone on to be performed across the world, including a sell-out performance at the Concertgebouw. In 2015, Julian will travel to work with the Chamber Orchestra of Paris, the Sao Paulo Symphony Orchestra and the Auckland Symphony Orchestra as well as a return to The Sage Gateshead to play with the Royal Northern Sinfonia.